Notre Dame's Fighting Irish have had 4 homes for baseball since the university began this sports program. Cartier Field, formerly located between Notre Dame Stadium and the Hesburgh Library, served the Fighting Irish for over 85 years. 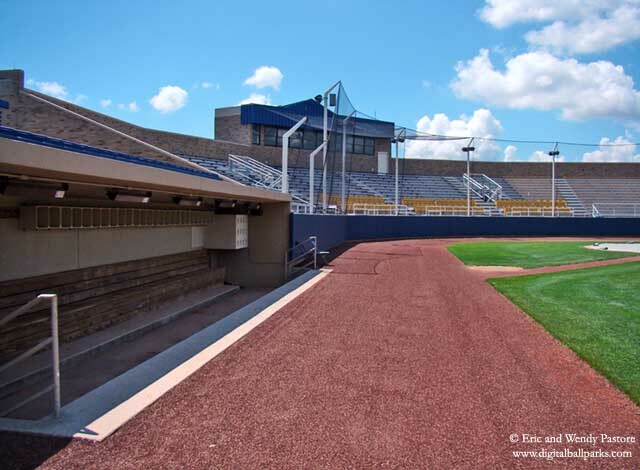 Jake Kline Field took over in 1977 and served as the primary home, until South Bend's new baseball ballpark... Stanley Coveleski Regional Stadium was completed in 1988.